Cognitive Neuroscience and Psychotherapy provides a bionetwork theory unifying empirical evidence in cognitive neuroscience and psychopathology to explain how emotion, learning, and reinforcement affect personality and its extremes. The book uses the theory to explain research results in both disciplines and to predict future findings, as well as to suggest what the theory and evidence say about how we should be treating disorders for maximum effectiveness. While theoretical in nature, the book has practical applications, and takes a mathematical approach to proving its own theorems. The book is unapologetically physical in nature, describing everything we think and feel by way of physical mechanisms and reactions in the brain. This unique marrying of cognitive neuroscience and clinical psychology provides an opportunity to better understand both. He received his undergraduate degree from Ohio Northern University in 1966, and his APA approved Doctoral Program in Clinical Psychology at Kent State University in 1970. 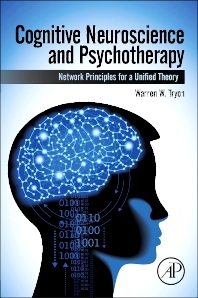 Dr. Tryon joined the Psychology Department faculty at Fordham University in 1970 as an Assistant Professor. He was promoted to Associate Professor in 1977 and to Full Professor in 1983. Presently he is in the second of three years of phased retirement and will become Emeritus Professor of Psychology in May 2015 after 45 years of service to Fordham University. Upon graduation from Kent State, Dr. Tryon joined the Psychology Department faculty at Fordham University in 1970 as an Assistant Professor. He was promoted to Associate Professor in 1977 and to Full Professor in 1983. Licensed as a psychologist in New York State in 1973, he joined the National Register of Health Service Providers in Psychology in 1976, became a Diplomate in Clinical Psychology from the American Board of Professional Psychology (ABPP) in 1984, was promoted to Fellow of Division 12 (Clinical) of the American Psychological Association in 1994 and a fellow of the American Association of Applied and Preventive Psychology in 1996. He was Director of Clinical Psychology Training from 1997 to 2003, and presently is in the second of three years of phased retirement and will become Emeritus Professor of Psychology in May 2015 after 45 years of service to Fordham University. His academic lineage is as follows: mentor was V. Edwin Bixenstein who studied with O. Hobart Mowrer at the University of Illinois who studied with Knight Dunlap at Johns Hopkins University who studied with Hugo Munsterberg at Harvard University who studied with Wilhelm Wundt at the University of Leipzig. Dr. Tryon mentored 85 doctoral dissertations to completion and is near to completing two more, which means that 87 additional Ph.D’s will participate in his academic lineage. This is a record number of completed dissertations at the Fordham University Graduate School of Arts and Sciences and likely elsewhere.